Let’s talk about evening bags. In the past year, I’ve been to a couple of black tie events where I noticed ladies do not have the appropriate bag. Just because a bag is small, does not mean it is formal! I saw day-time crossbodies with gowns, and purses that are perfect for brunch…but maybe not your best friend’s wedding. Never fear…I’ve rounded up some of my favorite picks that ARE appropriate for your next fancy event! 1. 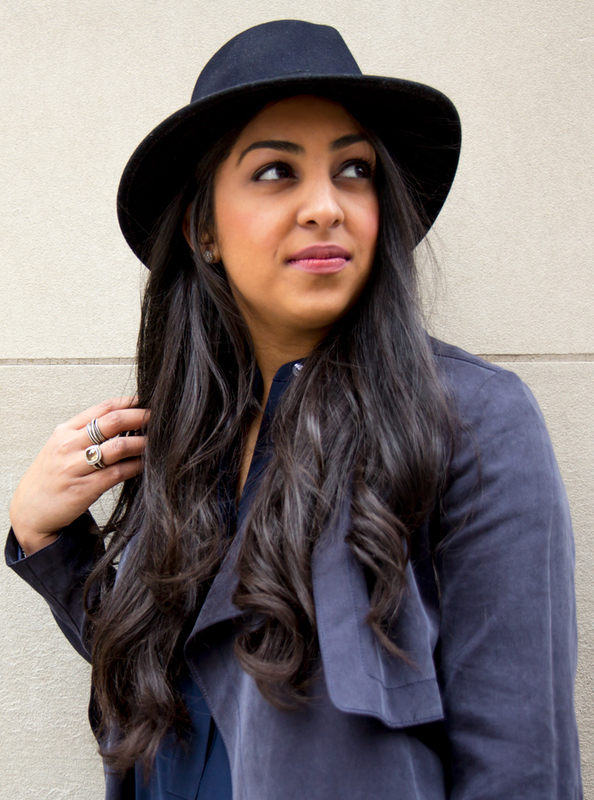 Sole Society – Sometimes a simple black look needs a pop of color. Plus, rainbow bags are totally in! 2. Lele Sadoughi – Pretty in pearl, this Lele Sadoughi can be worn over the shoulder or as a clutch! 3. Gucci – A more casual-looking clutch, the gorgeous color of the leather, combined with Gucci’s signature G’s would be gorgeous with a dressy jumpsuit or retro-inspired look. 4. 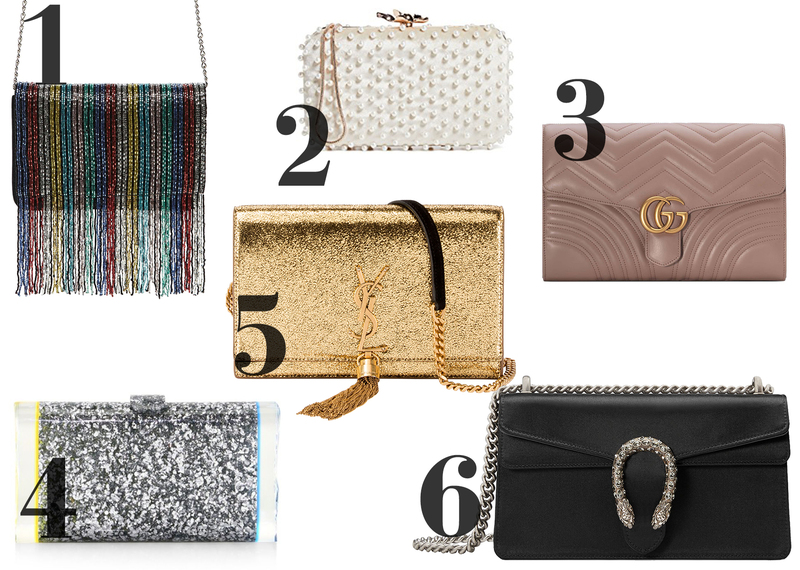 Edie Parker – We can’t have an evening bag roundup without including the queen Edie Parker. Her bags are usually pretty pricey, so this one is a steal! I also love bags with fun sayings, like this one! OR, if you want to splurge get one custom made on her website. 5. 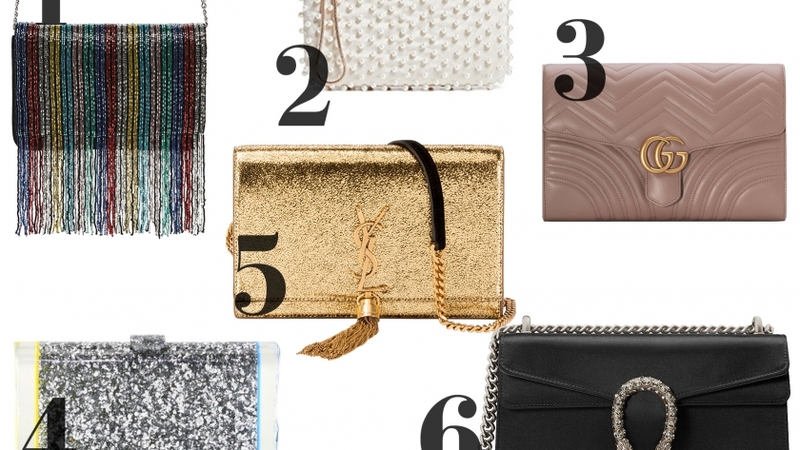 Saint Laurent – I love a great metallic evening bag because there is so much flexibility for outfits. This Saint Laurent can be worn time and time again no matter the color of your look! 6. Gucci – A satin Gucci shoulder bag that’s equally appropriate to swear with a cocktail dress, as it is to wear with a collared shirt and jeans. I also love the clutch version in velvet.